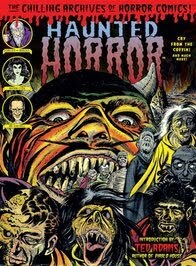 NEXT: Time again to Flash Forward to the Silver Age of Horror! What a doozy. Was Alan part of some secret fifties society that shunned socks? 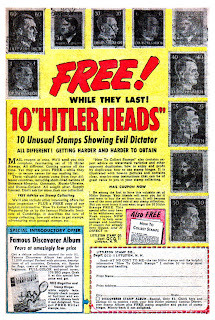 At last--ten Hitler heads! You have no idea how long I've searched for those! 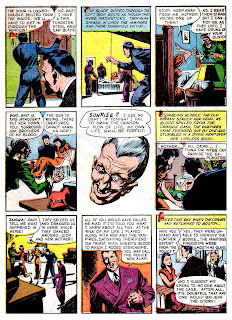 The drooling, dorky green vampires combined with the George Clooney-esque hero and the handy dandy Tungsten sawblade added a special touch to this tale. COOL STORY, IT ALMOST FEELS OLDER THAN THE 50S THOUGH..........SOME OF THE FACES AND SHADING REMINDS ME OF BERNIE WRIGHTSON BUT THIS WAS TOO EARLY FOR HIM. I SEE SOME FRAZETTA TOO MAYBE? A WEIRD ONE FOR SURE! It reminded me of Wrightson too! Maybe Bernie knows who it is. 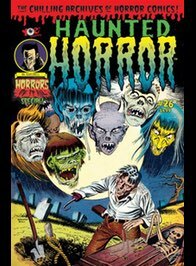 It looks like the same artist who did "Horror Grips Drumbouie Hollow" in Weird Horrors #1 and "Monster of the Moors" in Weird Horrors #2 and "The Fiend of Dachau" in WH #4. All unsigned, of course. Could this be Harry Anderson? His Atlas style was a bit lighter on the inks, what do you think? And with all his alleged doubles, I guess you COULD actually get ten Hitler heads. I'll be damned, I too see some Wrightson in this, that's funny. I'll have to dig out some of those other issues Mark mentioned and compare. Thanks for the comments today so far. Everyone have a great and safe holiday tomorrow and be back here on Tues for another trip forward in time to the Silver Age for something a little bit different than the usual around here. And don't miss the Horror of it All Theme Song, now available to simply play or download for FREE on the side bar (under the THOIA tee shirt on the right.) It's Pat Boone, so crank it! Karswell: Looking at the hands of these characters, and the posture and faces of the characters, I'm going to go Frank Frazetta. It really resembles his early fifties stuff (like his work on Shinning Knight). this did feel more like '32 than '52! Can anyone actually confirm this story is Frazetta? Surely there's a FF checklist somewhere that would mention this one, no? And yes Prof, The Horror of it All ('63) is indeed a cool old film. People email me all the time asking if the name of my blog comes from an Anthrax song (?! 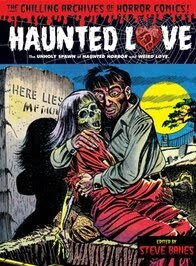 ), hell no, I got the name from this gloriously spooky/silly old Brit flick. I managed to record the film off the Fox Movie Channel many years ago and just this weekend finally got around to transfering it from vhs to dvd, where I was then able to create an mp3. Enjoy! And thanks again for the blog jukebox link Jeff! Didn't Frazetta almost always sign his work? Even his humor stuff got signed. His first published comic work on the bizarre Snowman story in Tally Ho was signed. I admit I haven't seen everything. 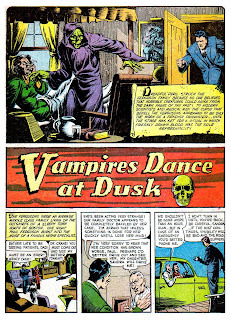 "Vampires Dance at Dusk",,, sounds like a good name for an old-time detective novel. I try not to enter into these sorts of discussions unless I'm sure about who did the artwork in question, but in the interest of public service I have to say that this is most certainly NOT Bill Everett. Nor is this Frazetta. It doesn't really resemble any of the forceful brushwork or compositional approaches to storytelling of either of those exceptional artists. A close scrutiny of these pages will reveal that. As to who it might actually be, if you held a gun to my head, my best guess would be Paul Gustafson who did (among many, many other things) "The Angel" character for a few of the Timely titles. I've seen a couple of horror-oriented Angel stories that resemble this strip more than slightly. Also, Gustafson's brushwork is very similar to what we see here; clearly influenced by the deft hand of Lou Fine, though he was not nearly so... ahem, fine an artist as Fine. 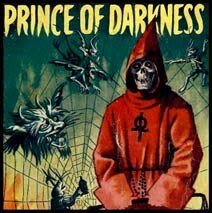 If you go to his page at Lambiek, you'll see some of his work from "The Spider." Furthermore, it's not out of the question that this here story is a reprint. Thanks for opening the forum to this kind of speculation, Karswell. 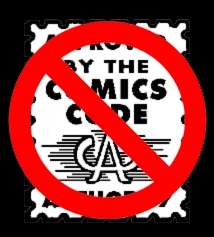 Golden Age comic book scholarship is a dying practice (even in my own brain) so I appreciate the efforts by all here, and hope I've added something of value to the discussion. I have my doubts about Everett as well, and as much as I think I know his work (as well as Frazetta's) I have to agree that there are too many factors present that don't add up to anyone yet mentioned by any of the many great artistic sugestions on this post. I'm not familiar enough with Gustafson to comment further, but will definitely check him out. 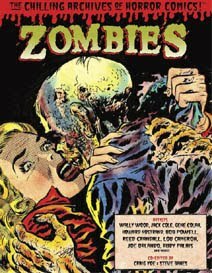 As far as the assumption that this could've been a reprint in Strange Terrors, that works for me too as the style seems much older than 1952, as a few of you have also already pointed out. I appreciate everyone wracking their brains over this one, hopefully someday we'll get an official answer. 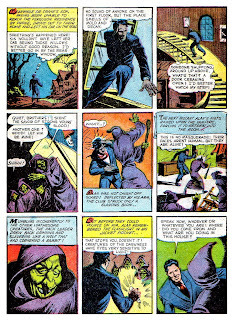 For pre-code horror stories by him see "Real McCoy" in Clutching Hand #1, and "Day of Reckoning" in Forbidden Worlds #34. He also did a story I don't have in Forbidden Worlds #6 called "Were-jackals". It must be about bankers. 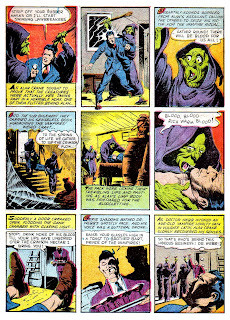 The Golden Age Comics UK scan of #6 is the British version and does not have that story. 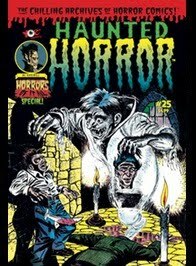 He is a possibility but the thing that everyone said about the Strange Terrors story was it reminded them of Wrightson. 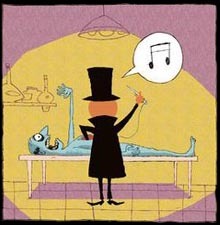 Gustavson did a lot of cartoon type humor stories and I still see a bit of that in his horror work. Gustavson does not remind me of Wrightson. This is all just friendly discussion and I love the excuse to look at old comics (or scans in my case). 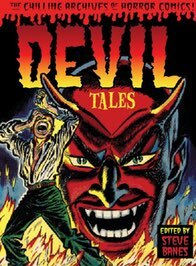 Karswell, or anyone, have you had the chance to look at the stories I mentioned from Weird Horrors? Do you think it might be the same artist? 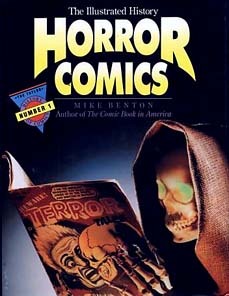 >have you had the chance to look at the stories I mentioned from Weird Horrors? 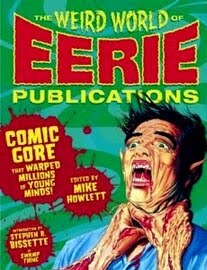 Unfortunantly for me, I only have Weird Horrors issues #3, 5, 8 and 9 in my collection. If you, or anyone else has these stories that were mentioned in the earlier comment please email me the scans and I'll put them up for us to compare. Thanks again! Karswell, I can't figure out how to send the folder, other than single jpegs one by one. 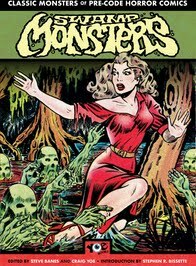 All 9 issues of Weird Horrors are at Golden Age Comics Downloads. I did send you an email about something else that was pretty cool. I have to go on record as being one of those who says NOT Bill Everett. 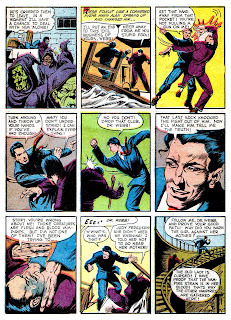 While I see some Everett style faces and a few poses, why would he subjagate his own smooth style so completely with a pseudo-Lou Fine approach. I'm tentatively siding with those who say Gustafson as it resembles some of his early Timely work and even later Quality pieces where he would undonbtedly have been influenced by the Lou Fine style tahtw as almost Quality's house style. If anyone is going to look for his work on Lambiek, you'll have to type in his real name; "Gustafson." 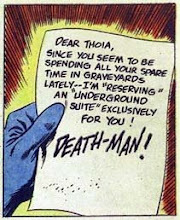 He frequently substituted a "v" for the "f" when signing his earlier comics work, hence the confusion. 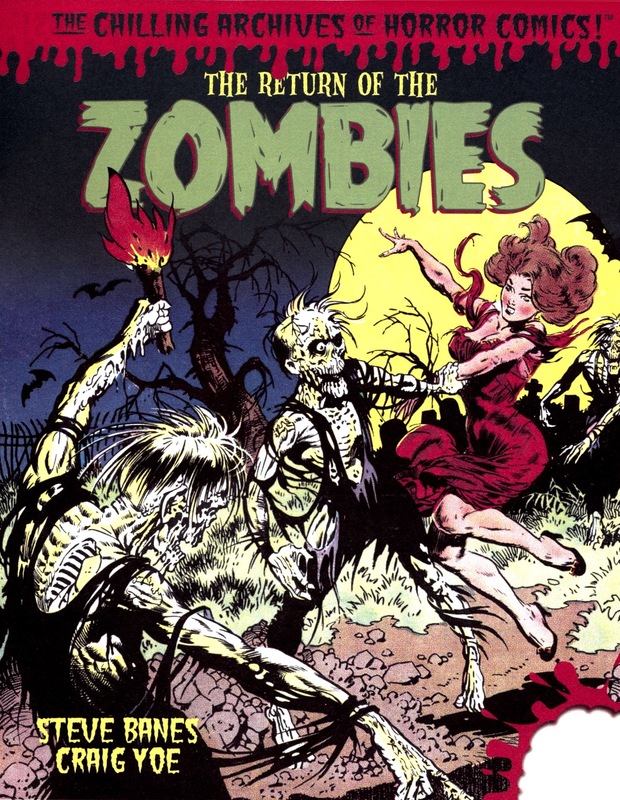 Thanks to Mark Borbas for some Weird Horrors scans he has emailed to me, I think we found a match on the artist of Vampires Dance at Dusk and those posts will be coming up next. Thanks Mark, and again to everyone who joined in and contributed their thoughts on this one. 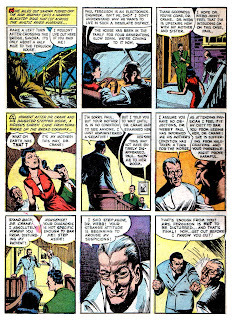 Jan 1954 where the same sort of hatching can be found in addition to a very "Everett-esque face in the third panel. Other examples include Sailor Sweeney 13 "A Lot of Bull! ", and Menace 7 "Fresh Out Of Flesh!" Well I guess I should read all the other comments before I post! I'll view the Gustaveson(sp?!) Samples and see what I think. 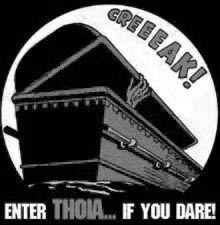 Until then see you all at THOIA! Definitely NOT Everett. Some similarities in the artist's choice of NIB for their dippy ink pen, perhaps. The Everett checklist confirms that he has no known work for St. Johns publishing. I agree with Mark~ that it could be Harry Anderson. Faces & hands resemble his style of work from Hillman output (and other companies) in the 40's. 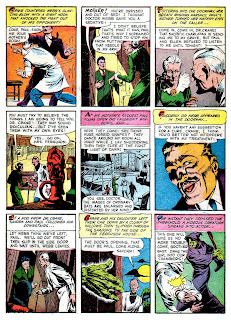 Check out tencentcreams.blogspot to compare Everett & Anderson work, in seperate stories, from Victory Comics #1.
okay... this is what happens when you blog inbetween scooping ice cream... make that: tencentdreams.blogspot, not the one with dairy ! "Ten Cent Creams" actually sounds like something else I would greatly enjoy too.